If you're anything like me, no one ever taught you how to light a grill, and now you're terrified to do it. It's actually really easy, and there's nothing to fear, so you can stop worrying about singeing off your eyebrows next time you light up the barbecue. Open the top lid. Never light the grill with the lid closed. Confirm that all the grill control knobs are in the OFF position. Opening the gas supply with a control knob in the ON position will activate a safety feature called a "Flow Limiting Device". The FLD limits the gas flow and may cause low heat issues. Propane: Slowly open the gas tank valve no more than half a turn (this makes it easier to close in case of an emergency). 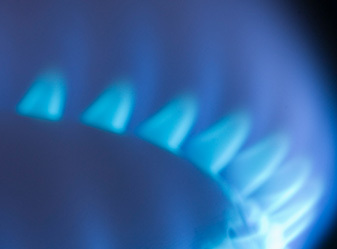 Natural Gas: Fully open the gas valve at the home supply. Wait 5 seconds after opening the gas supply and then turn the control knob closest to the igniter the MAX position. Wait 3 seconds after turning the grill control valve to the MAX position and light your grill using the built in igniter system or a barbecue lighter. If the grill does not light within 5 seconds, turn the control knobs and gas source off, wait for the gas to dissipate, and repeat steps 2 through 5. Once lit, open the remaining control knobs (if needed), close the lid, and allow the grill to heat to the desired temperature before cooking. We told you it was easy! Now you have no excuse to avoid your barbecue. Subscribe to receive the latest promotions, expert girll maintenance tips, and new grilling recipes.